Boil water in a saucepan over medium heat. Add the barley and then cover and let cook for 10-12 minutes. Meanwhile, slice the green peppers and dice the onion. 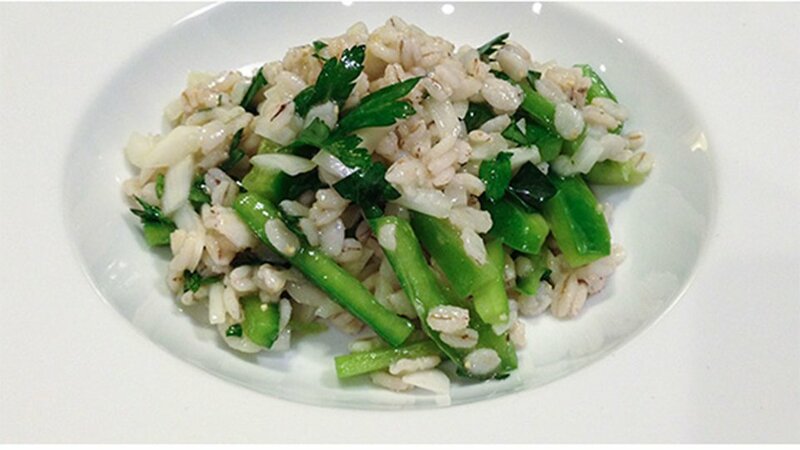 Chop up parsley and then add ingredients to the cooked barley. Fluff with a fork to combine. In another bowl, combine together the olive oil, Italian salad dressing, and garlic. Drizzle over the mixture and then stir before serving.